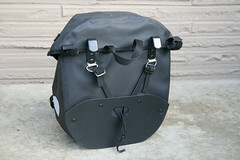 I needed a set of front bicycle panniers for my upcoming West Coast ride. Since it will be rare that I’ll need more storage capacity than my Ortlieb Backrollers offer, I didn’t want to spend a lot of money. 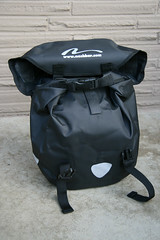 Nashbar was running a discount on their waterproof front panniers (NA-WPF2-K), putting them under $40. At that price, they would be worth buying even if they only lasted for one trip. 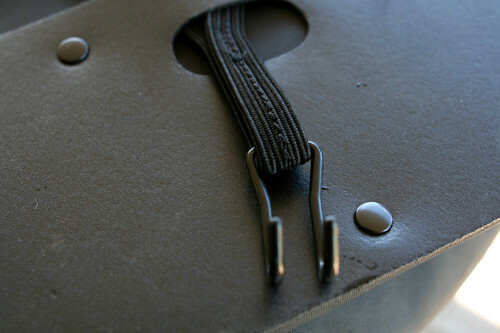 The bag appears to be made out of PVC-coated nylon. 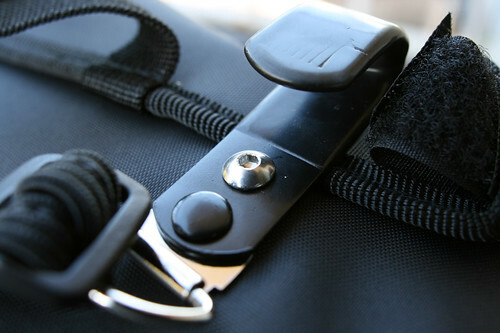 It has both a roll-top inner closure, plus an outer cover which snaps down. 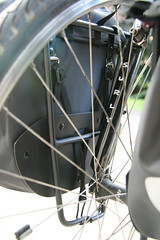 Each bag has two stout metal hooks which attach to the top rail of the rack. 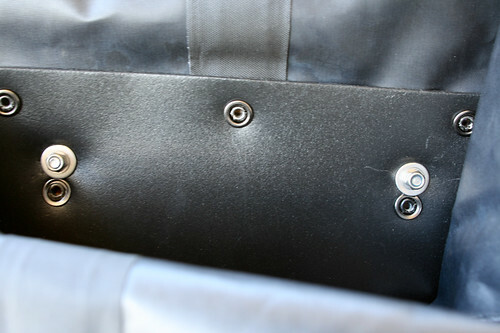 Attachment to the lower rail is via elastic and a metal hook. 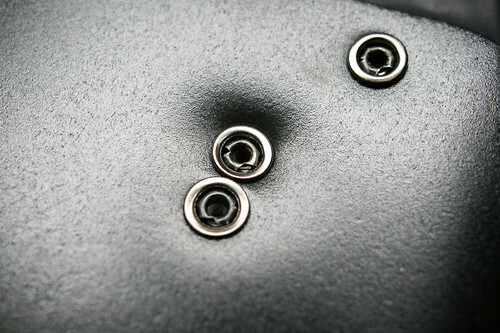 The lower attachment system seems low quality, but it functions surprisingly well. 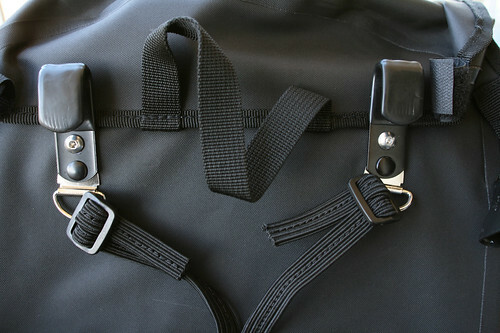 Next to each upper hook, there is a Velcro loop. 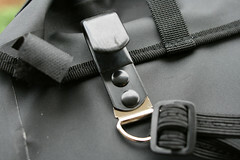 This should function to prevent the bag from moving too far upward and coming unhooked. 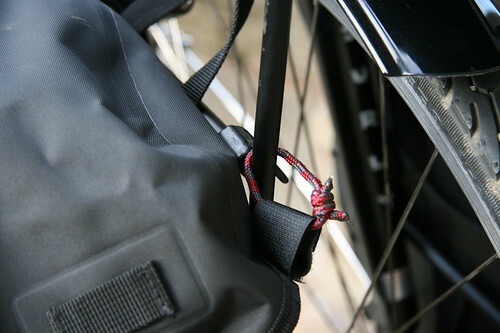 In the event that it does come unhooked, I imagine that the Velcro loops would keep the bag on the bike. Given the relative strength of the steel hook and Velcro loops, I do not think that the loops are intended to carry the full weight of the bag in normal use! Since the loops extended beyond my Jannd Extreme front rack, I added a loop of paracord through which I can secure the Velcro loops. I used a double-fisherman’s knot, so it won’t slip when loaded. 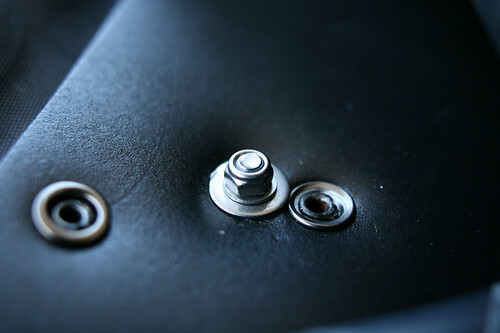 In order to assure that I can’t experience complete failure, I drilled out the upper rivet in each hook and replaced it with a stainless steel bolt. 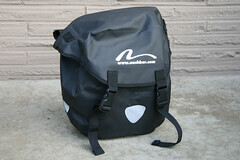 I used a fender washer — which has a large diameter — to spread the load across a larger area of the bag liner. 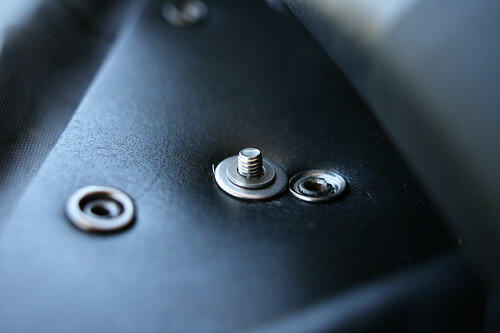 I also used a regular washer in order to make the nut fit without exposing any bolt threads, since I didn’t want things catching on the bolt. A more glaring problem is that of the lower hooks. They literally just slip through the elastic and are held there by gravity or tension. 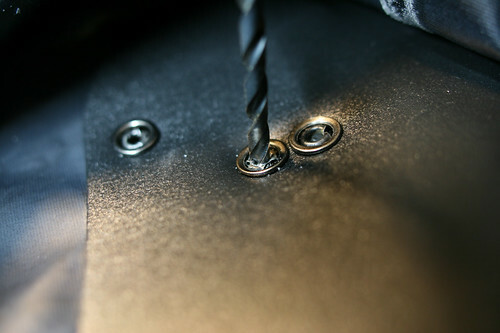 Without tension, it takes only mild jarring to cause them to work their way free. In fact, I lost one hook within the first week, when I took the bag with me down to the hardware store! I absolutely recommend that anyone who buys these bags immediately modify the elastic in order to retain the hook! 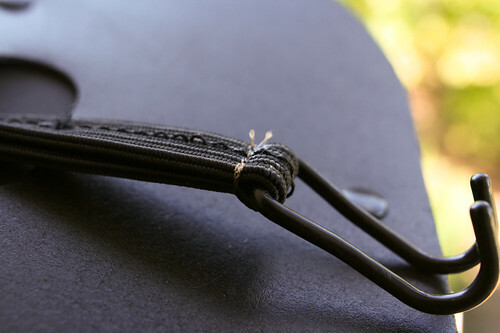 You could simply use a zip tie, though made a quick stitch with a sewing machine. Jeff Fitzsimons is a software engineer in the California Bay Area. Technical specialties include C++, Win32, and multithreading. Personal interests include rock climbing, cycling, motorcycles, and photography. This entry was posted in Cycling, DIY. Bookmark the permalink.